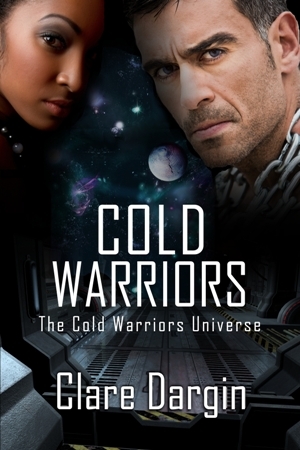 Cold Warriors -Is My Hot New Release! Cold Warriors has been a labor of love for years. I won't say for how long but let's just say it was before Bush number 2 was president. It has since been revised and reworked and I love the final product. He didn’t know what to say. His first clash with her had distracted him to the point of madness. It had been some time since he’d had such a powerful encounter with a woman. The last one to push his buttons that hard, he wound up marrying. Caitlin was stubborn, mouthy, somewhat insubordinate, and filled with an innate force he had not seen in sometime. She had no problem in standing up for who or what she believed in. He didn’t like the feelings she stirred in him. He dare not consider them. Especially with her. She was a subordinate and a cryo. It was against regulations for him to even think of starting anything with her. Before he knew it, he crossed the distance between them and swept her into a searing kiss. He caressed her body, touching every curve. Arousal sped through his body like lightening. He dug his fingers in her hair and hungrily dominated her mouth, his tongue delving in, playing with hers. Gripping her waist, he lifted her up and placed on her the table. She arched her neck exposing her creamy skin. He nipped and bit at it enjoying its smoothness. He reached up and caressed her breasts, a need filling him to see them, taste them. He was ready to slip off into oblivion when he remembered himself. It was the middle of the day; they were in a briefing room and would be caught. Breaking off the kiss, he raised his hands in surrender. “Jesus,” he said in between breaths. “What?” she panted, as she straightened her uniform. “Please leave. Just go.” He closed his eyes, wrestling his feelings into submission. Holding them down, he shuddered. Dear God, help me. He needed her so badly. His breathing slowed to a normal rate. When he opened his eyes, she was gone. “Sir, you’re needed on the bridge,” the voice on the com said. “Be right there,” he replied, grateful for the distraction. Friend me, visit, to get exclusive sneak peeks at WIPs, and my upcoming Releases! CLASS: Witches, Faeries & Wizards: Divining the Supernatural World online class begins March 1. The black arts have divined their way into our hearts and our love for lore has been listening to us tell their tales of foe and woe. The supernatural world surrounds us — on all continents, in all aspects of our mundane lives — yet we know little of how or why. In this class, we will not only study the origins of the supernatural, especially those areas common to paranormal and fantasy literature, but also study how they affect us and therefore affect your readers as we divine the supernatural world. The Yuri’s Night Short Story Contest deadline isMarch 1, 2013. Human Spaceflight became a reality over 50 years ago with the launch of a bell-shaped capsule called “Vostok 1.” The capsule was carrying Soviet Cosmonaut Yuri Gagarin, who took his place in history as the first human to leave the bounds of Earth and enter outer space. This year, Yuri’s Night will be co-sponsored with the Greater Ft. Worth Chapter of the Moon Society and the North Texas Speculative Fiction Workshop at the Benbrook Library, Benbrook, TX. Along with snacks, poetry readings, and short story readings, Ken Murphy from NSSNT will bring a movie about Yuri Gagarin. Part of this year’s celebration is a short story contest. The theme must be about space, space exploration, development, and/or settlement. For this stop on The Great Steampunk Romance Airship Tour, I’d like to place the spotlight on the books themselves. To that end, you’ll find two resources in this post. One, links to articles on steampunk and steampunk romance by authors and bloggers. 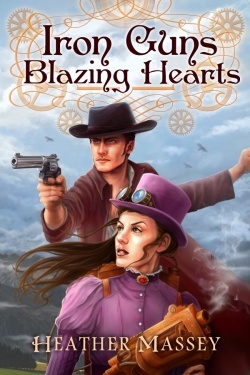 Two, a list of steampunk romance titles (not all, but many). This way, you won’t have to travel far to find the books! The blog Steamed! Frequently features guest posts by authors of steampunk romance. Coffee Time Romance launched a Steampunk Romance page featuring lots of posts, author interviews, and giveaways! 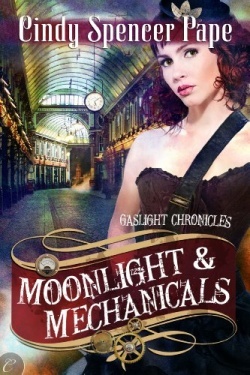 Now for a list of steampunk romance books. This list is in alphabetical order by author. Following the list are the details for the giveaway. Enjoy! Please include your email address. The deadline to enter all of the giveaways will be midnight PST on February 14. On Friday, February 15, check back here to see if you’ve won the ebook prize. The grand prize winner will be announced on February 15 at The Galaxy Express. 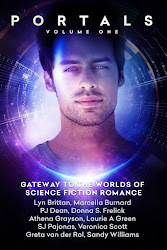 Heather Massey is a lifelong fan of science fiction romance. She searches for sci-fi romance adventures aboard her blog, The Galaxy Express. She’s also an author in the subgenre. To learn more about her published work, visit heathermassey.com. The West just got a whole lot wilder. A woman on a mission… Scientific achievement isn’t enough for Violet Whitcomb. Life working alongside her renowned scientist father is filled with intellectual challenges, but what she truly craves is love and adventure. She’s resigned to a fate of academic pursuits–until a fateful trip across the American frontier changes everything. 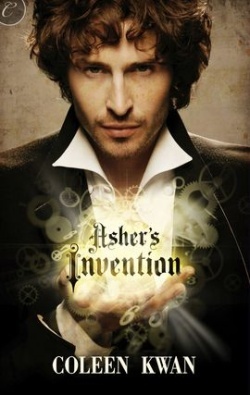 A rogue inventor known as the Iron Scorpion kidnaps Violet’s father and she alone is left to plan his rescue. A man with a secret… Logan McCoy knows firsthand going up against the Iron Scorpion is suicide, but he can’t let Violet waltz into the villain’s lair alone. She may be a stranger, but she’s also the most compelling woman he’s ever known. A perilous quest… Their attraction is undeniable, but their alliance turns contentious when Violet insists on including a third partner on their mission: her father’s latest invention and the world’s most advanced automaton, Arthur. The reason for Logan’s resistance isn’t clear until Violet comes face-to-face with the Iron Scorpion’s diabolical devices, and by then, it’s far too late. This week's round of snippets should now be live. Use the inlinkz list below to jump to each blog participating. Read, share and enjoy! 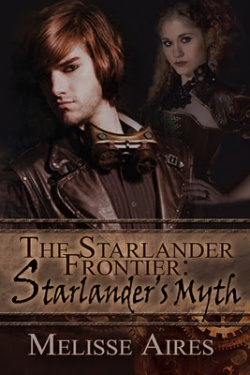 The National Excellence in Romance Fiction Awards (NERFA) web site (RomanceAwards.com) recently highlighted the SFR Galaxy Awards with a slideshow depicting many of the award winning covers. The NERFA site also features the Romance Awards Directory, Romance Fiction Statistics, Romance Novel News, and the Beacon Awards. We encourage you to support NERFA by stopping by to view their site and see all the award winning romances. Bet you'll find some great new reads. ONLINE CLASS: The Art of Critique TODAY! New Class: The Art of Critique today! It’s time to step up to the big time—getting critiqued and giving critiques as a professional writer. In this class, we’ll look at the attendees’ manuscripts/WIPS, learning how to analyze a story on different levels. WIPs are expected to be shared with the class for discussion. We’ll have guest speakers as well as contests and prizes. When you apply for the class, tell them Alley sent ya. Come Aboard For "The Great Steampunk Romance Airship Tour"
Don your brass goggles and come aboard! To celebrate all things steampunk romance, Heather Massey of The Galaxy Express is launching The Great Steampunk Romance Airship Tour on February 4, 2013. This tour is in conjunction with the release of her new steampunk romance, IRON GUNS, BLAZING HEARTS (Lyrical Press). The tour will run February 4-13. It has two major components: posts and prizes. 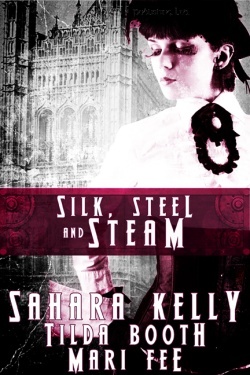 At each stop readers will find a fun, informative post about a steampunk romance topic. 1. A paragraph from a WIP, or a current or forthcoming novel (maximum 200 words). You do not need to be published to take part! 2. Have your post live from the end of Friday 1st Febraury and with SFR Brigade Presents in your title or post somewhere to help identify it. 3. Help promote the event as a whole (you can use the hashtag #sfrbp) and try to visit and comment on the other participants posts. Note - this is not intended as a critique group unless the participant actively asks for and encourages critical feedback. 4. Keep it simple. Keep it fun.